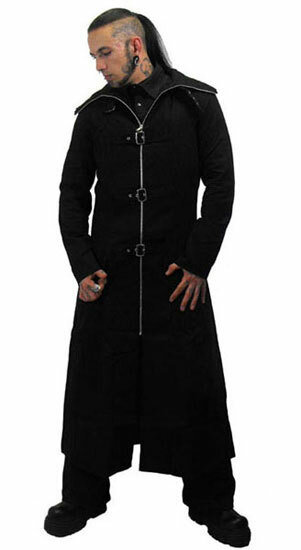 Mens full length twill coat with a zip front and 4 straps and buckles up the front. 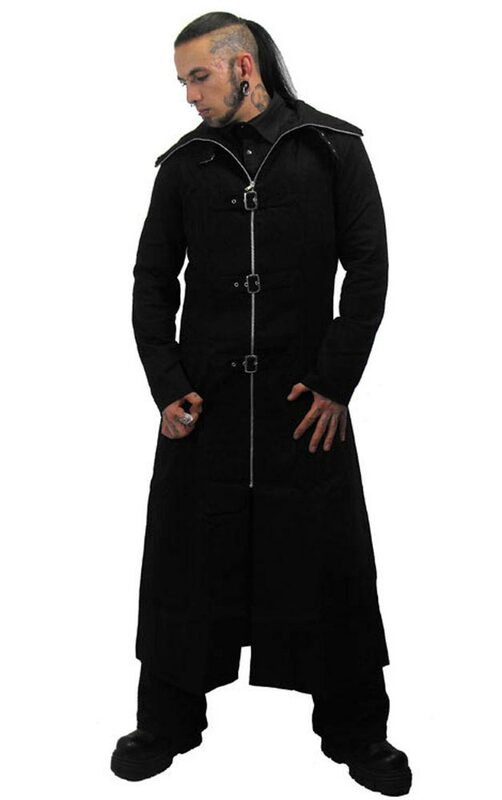 The coat features a high collar which zips up to partially cover your face. 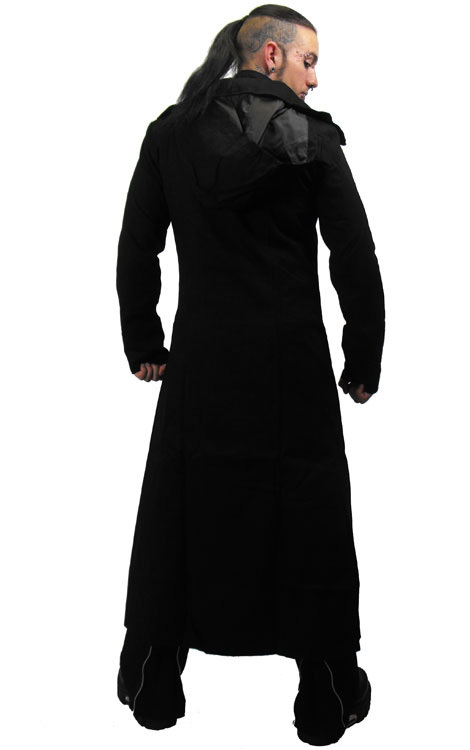 This show stopping coat is fully lined and completed by its over sized hood. 100% cotton. Imported from the UK shipped from the USA. 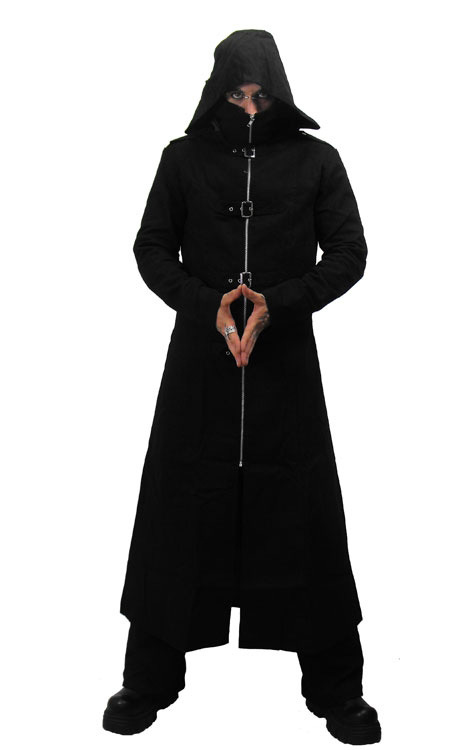 You really cant go wrong with this coat. it fits very well and isnt heavy. great quality. the 4 straps are sturdy and wont come undone or anything. the part that covers your face has no problem staying up on its own at all. it doesnt run that big so if you’re typically a small then dont get an extra small. the coat seems to fit my body very well. not loose but not too tight. definitely worth the buy. Ordered the XXXL, as I'm 6', 250 with big arms, and it's not even close. It lacked a solid inch to fit around my waist (40", 42" with clothing) and the arms/shoulders were skintight. I'm still rating it 5 stars as the craftsmanship was excellent and this appears to be a high quality product, and well worth the $110+ price tag. Just not big enough for big guys.